Ok so this week I want to do a fitness test. 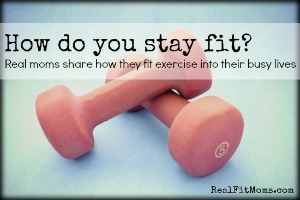 Being fit and healthy is so important to me. I want to be the best I can be not only for myself but for my family. I want to be the best wife, mother, daughter, sister and friend. Being fit and healthy is so much more than a number on a scale. The number on the scale is merely that . . . a number. So we won’t be jumping on the scale as part of this test. It is a measure of fitness only. Perform the fitness assessment below, give it 6-8 weeks then do it again. The aim is to see how much stronger we are . . . are you in? 1 – Cardiovascular fitness test – 1 Kilometre walk/jog/run, whatever you can manage. 2 – Upper body strength test. 3 – Lower body strength test. 4 – Abdominal/core strength test. – A 1 kilometer track/route, preferably not done on a treadmill because you need to be in charge and if you do it on a treadmill the treadmill is the one who really sets (and maintains) the pace. – Somewhere to keep a record of your results (journal, smartphone . . . something you won’t lose). Take 5-10 minutes to warm up and stretch as you would any workout, make sure you stretch chest, shoulders, triceps, hamstrings and calves. 1 Kilometre walk/jog/run, whatever you can manage. Give it your best, push yourself, you. can. do. it! – Make a note of your time. – Count how many push ups you can do in 1 minute (a proper push up should have you approx 8 cm off the ground . . . no cheating!!). Make a note of your total. – Start sitting on your bench with your hands down by your side, palms down beside your hips with the heel of your hand at the edge. Lift your body off the bench, knees at approx 90’s. Keep your back close to the bench (almost as if you are trying to scratch it against the bench). Shoulders pulled back and down, chest out proud, neck long, eyes fixed straight ahead.. Aim to bend your elbows to a right angle (90′). – Count how many tricep dips you can do in 1 minute. Make a note of your total. – Wall Sit – Hold for as long as you can . . . perfectly still. Make a note of your time. Level 2 – Arms folded across your chest complete one full sit up with elbows touching your thighs. Level 3 – Hands linked behind your head, elbow stay out wide, complete one full sit up. Remember to keep those heels down! Level 4 – Arms crossed behind your head (fingers touching opposite shoulders), complete one full sit up. Level 5 – Arms fully extended out long beside your ears, hands above your head, complete one full sit up. Make a note of the level you successfully completed your one sit up with heels on the ground. Sit on the ground with your legs straight (calves and hamstrings touching the floor), stretch your arms out (with hands flat on top of each other) as far as you can. Have someone measure from the tip of your shoe laces to your finger tips. Give yourself 3 attempts. Make a note of your best result.